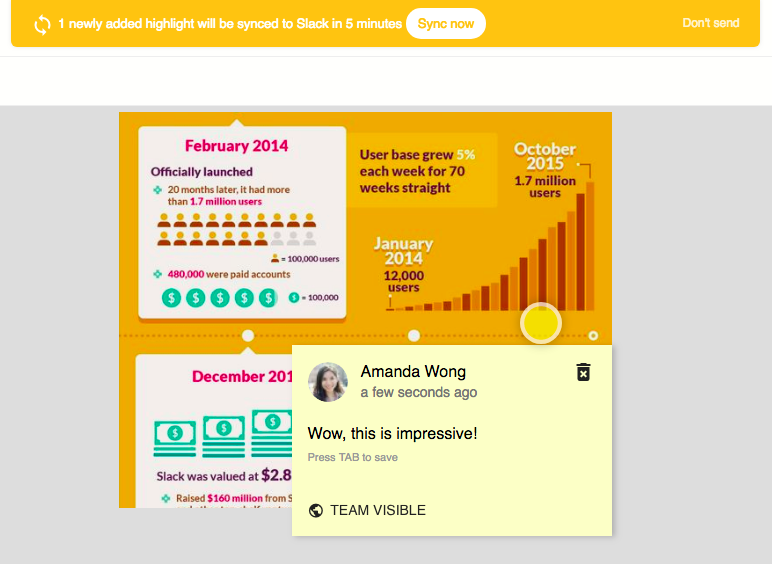 How does image annotation work? 2. Kipwise will turn it into a collaborative version. 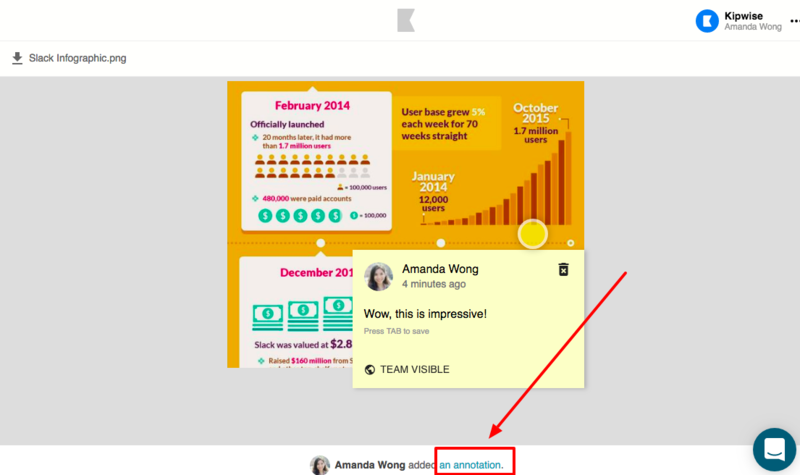 Click on "Annotate it now" to add annotations. 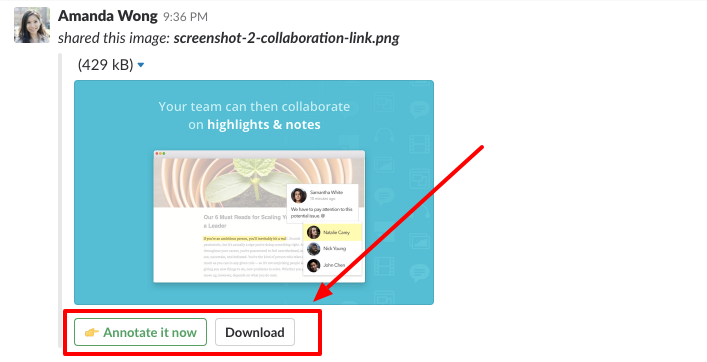 Your teammates can still download the original image by clicking "Download". 1. 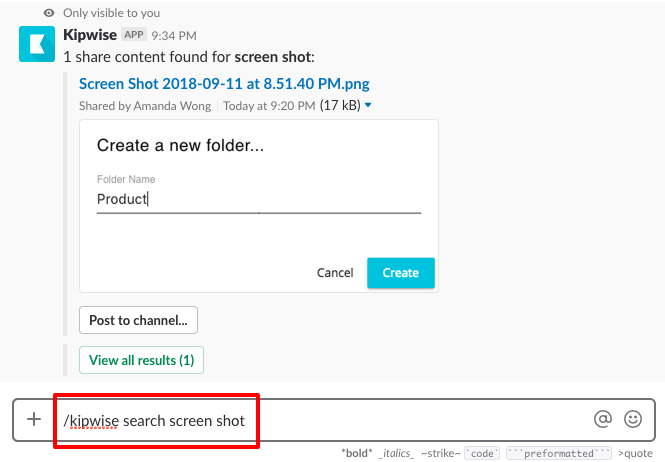 You can search for saved images directly in Slack using the command /kipwise search [keywords] using the keywords that are contained in the title. 2. You can also visit your Kipwise online dashboard and filter your saved images by keywords.